Huizhou Shengyang Industrial Co., Ltd is a leading manufacturer of Automatic Screw Locking Machines and robots for the electronic manufacturing industry, aimed at improving the performance and output of the industry. Most industries are adopting automatic machines and equipments that can save the cost and labor and can also improve their performance and output. For the assembly and manufacturing of mobile phones, computer parts, home appliances and other electronic products, Huizhou Shengyang Industrial Co., Ltd now introduces Automatic Screw Locking Machines and robots. These automatic machines can dramatically improve the performance and precision of screw locking and tightening that are an essential requirement of the electronic manufacturing industry. The company produces the Automatic Screw Locking Machine, used in the automatic locking of finished products in the manufacturing or assembly units of different electronic items. The machine can easily accommodate products of different sizes for a precise screw tightening. With its Z-axis lock module and Panasonic motor driver, the machine can automatically lock screws according to the set coordinates. The machine also features the Japanese HIOS screwdriver bits and Winview touchscreen for an intelligent screening feeder. Explaining about the working process of the machine, the spokesperson of the company states that one can manually load products of any size and it will auto jig the position for auto-running of its locking modules and screws are locked automatically. According to the spokesperson, for replacement of products, one just needs to modify the PLC lock-point coordinates. With a high precision and fast yield, the machine can lock screws with high quality and reliability for a long-lasting durability of the products. The spokesperson states that the machine also has several kinds of auxiliary functions that make it an indispensible machine for electronic manufacturing. For example, it comes with the screw lock leak detection and screw slip detection features as well. It also shows the bad screw statistics for quickly rectifying the errors in screw locking. Likewise, the company’s automatic screwdriver robot is much-needed equipment for screw tightening in the electronic product manufacturing sector. The robot can apply to different types of screws made from different materials due to its vacuum suction technology. Unlike the magnetic suction tools, it can also be used for handling stainless steel and plastic screws. With its high universality and strong commonality, the machine can be used for tightening a variety of screws across different industries. The machine is also capable of handling screws with a large diameter to length ratio and can be suitable for handling screws of different shapes and sizes. 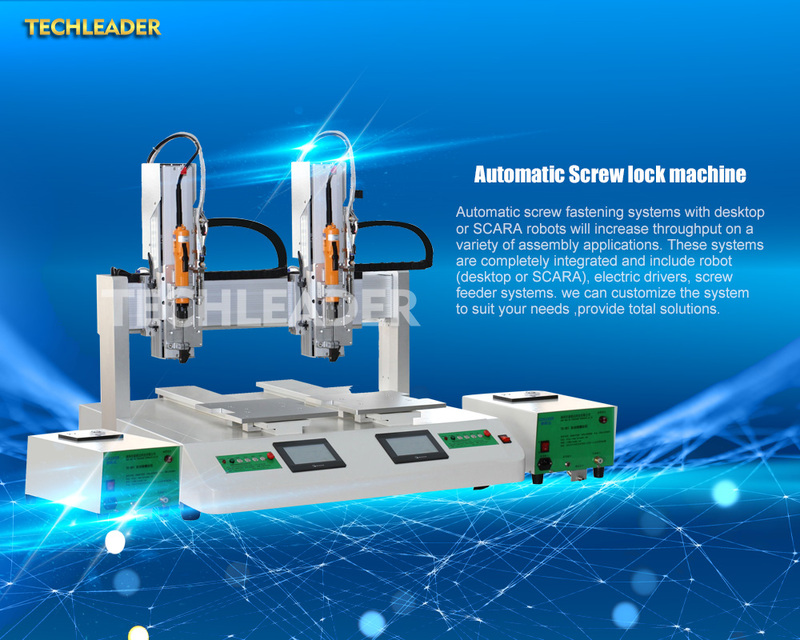 For complete information about the features of the automatic screw locking machines and robots, one can visit the website https://www.automaticchina.com/. Huizhou Shengyang Industrial Co., Ltd specializes in R&D and manufacturing of electronic equipment industry manufacturing automation equipments. The company’s products include automatic welding machine, automatic screw locking machine, automatic screw tightening machines, automatic screw feeder machine, Turbine air blowing automatic feeder, Coordinate machine, Automatic dispenser, Peristaltic dispenser, Automatic glue filling machine, Automatic soldering machine, LED production automation line and Electronic automation assembly. They operate with their products with their own brand Techleader for their global customers and also offer OEM & ODM productions to customers.